The Matadors made up for a 3-2 loss to the Grand Canyon University Lopes (19-16) by beating the UConn Huskies (10-17) 8-0 to split day two of the Louisville Slugger Invitational in Stockton, CA. Senior pitcher Daphne Pofek started for the Matadors, throwing two and two-thirds innings before being pulled for senior pitcher Brianna Elder. Pofek, who was awarded the loss, was tagged for two home runs, and three earned runs. The combined effort of Elder and freshman Zoe Conley held the Lopes off the score board for the rest the game. The two combined for five strikeouts and two hits in three and a third innings pitched. Despite scoring the first runs of the game in the first inning. The Matadors were unable to get their offensive motors running in subsequent innings. Freshman shortstop Savannah Horvath was responsible for the Matador’s lone inning of scoring, after lifting a first inning pitch over the left field fence, scoring sophomore utility Katie Hooper. It was the first loss CSUN has suffered at the hands of GCU in their four games played against each other this season. 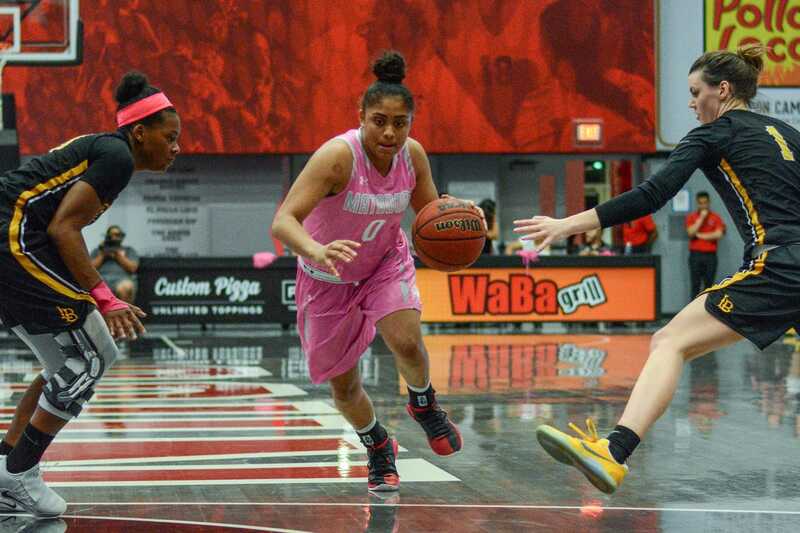 The Matadors jumped out of their offensive rut during game two of the day against the UConn Huskies. 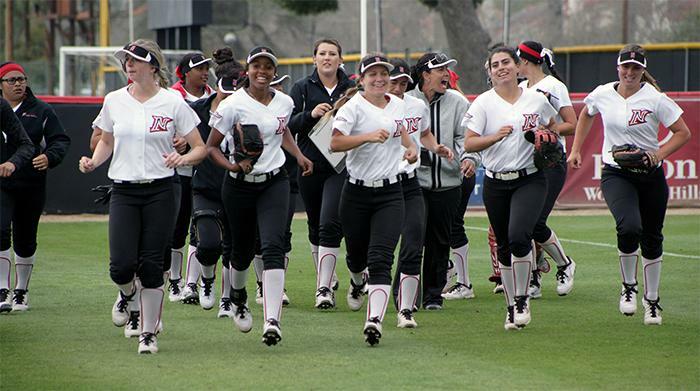 The Matadors battered UConn pitching to the tune of four homers and eight runs on seven hits. 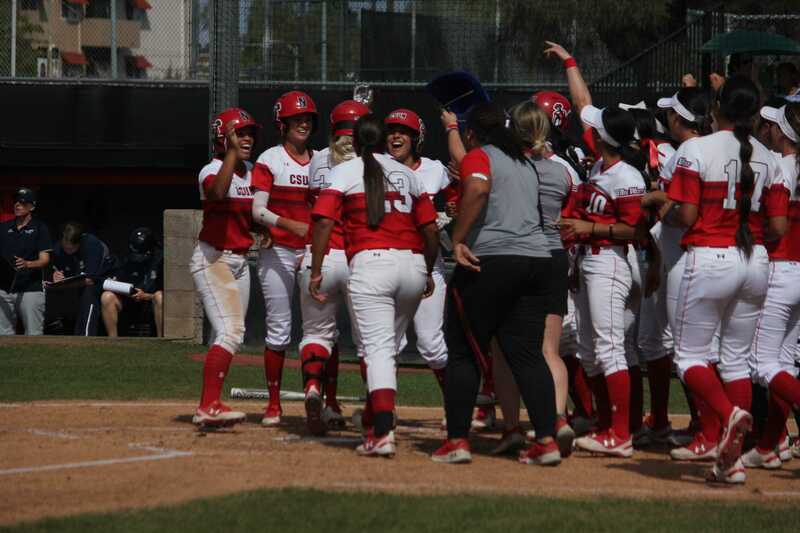 Conley, CSUN’s starting pitcher, was greeted with a five-run cushion once she stepped back on the diamond for her second inning of work. UConn’s senior starting pitcher Lauren Duggan was chased from the game before recording an out. She was replaced by sophomore Kayla Doty after allowing five earned runs and four hits, including a home run off the bat of Horvath. It was Horvath’s third home run in as many games and seventh of the season. 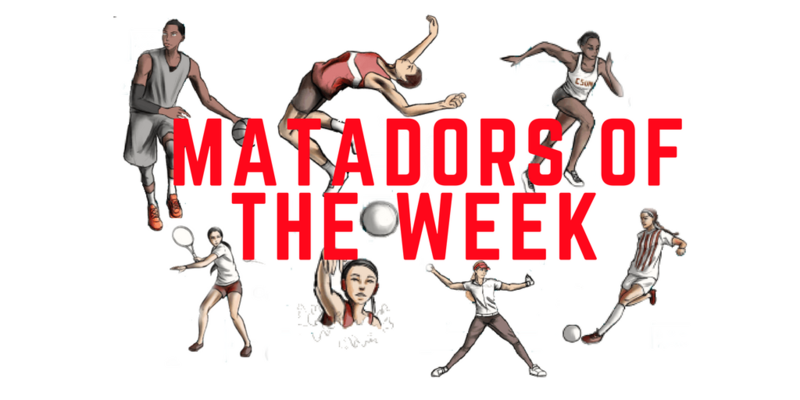 The Matadors didn’t make Doty’s time on the hill any easier. Hooper, and freshman catcher Courtney Horne hit back to back home runs in the second inning to extend the lead to seven. Sophomore Outfielder Taylor Nate hit the final home run of the game in the fourth inning. A solo shot to left field. Conley improved to 11-3 on the year. Her 1.48 Earned Run Average is second best in the Big West Conference.